Frances "Fran" Maggard, 75, of Louisville, Kentucky, passed away on Wednesday, April 10, 2019. She was born on May 29, 1943 in Whitesburg, Kentucky to the late Harvey Carl and Della (Williams) Collier. She is also preceded in death by her brother, Kenneth Collier. 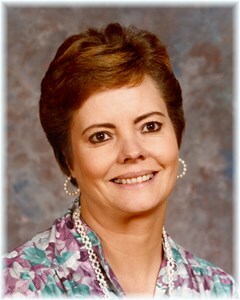 Fran taught English most of her career, retiring from Bullitt East High School. She attended Berea College where she was very active in folk dancing. Fran loved animals and the outdoors. She is survived by her husband of 46 years, Paschal "Pat" Dean Maggard, daughter, Shannon Lynn Carney (Marie), sisters-in-law, Kim Maggard, Pauline Collier and her best friend Lillie Mae Baldwin and a host of nieces, nephews, cousins and friends. Per Fran's wishes cremation was chosen and there will be no services. The family requests that contributions in Fran’s memory be made to The Kentucky Humane Society. Add your memories to the guest book of Frances Maggard. I had Mrs. Maggard my freshman year at Bullitt East High School. She was my English teacher as well as my study hall teacher. She was a kind and thoughtful person and I always enjoyed being in her class. She was passionate about her content, but more passionate about making sure each of her students received the care and attention they deserved. I am sad to read of her passing but grateful for all the lives she touched throughout her career. My thoughts and prayers go out to her family. I had Mrs. Maggard for Freshman English as well as Foklore class at Bullitt East High School. She was kind and loving teacher who always pushed her students to be the best they could be. She was a special lady! !